Quality Reporting Program (No changes, but extended the number of years from one year to two years to calculate the MSPB and Discharge to Community measures). Thank you for the record breaking attendance at the “Free Key Friday” monthly webinar (3rd Friday of the month) last week 2.9.18. The webinar spurred multiple questions that are beneficial to share with all of our blog subscribers. Is this new classification for all states nationwide? Yes, the Resident Classification System 1 (RCS-1) is the new Federal payment system proposed to replace the current Prospective Payment System RUG IV 66 (PPS) for Medicare beneficiaries nationally. The new classification system is for Skilled Nursing Facilities (SNF) Medicare Part A Beneficiaries. This is a Federal Program. This is the proposed payment system for patients in the nursing home accessing their 100 days of the benefit. 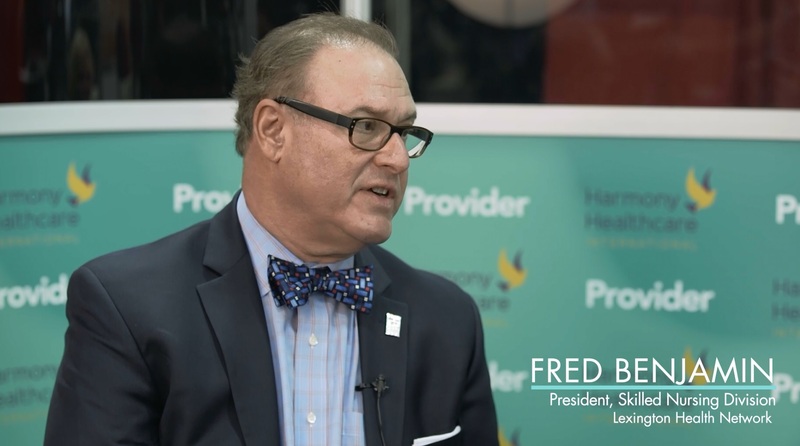 Kris Mastrangelo, President of Harmony Healthcare International (HHI) interviews Fred Benjamin, the President of Skilled Nursing at Lexington Health Network, in the 2017 AHCA Provider Lounge. Fred discusses how the new Resident Classifcation System (RCS-1) will affect the continuing role of therapy and rehabilitation in his organization. At the end of the day, his goal is to provide his patients with the rehab services they need and expect from his facilities. (Audio transcription below).